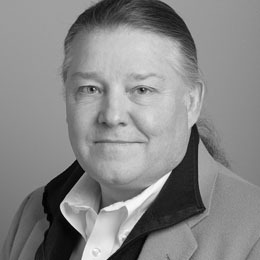 Carl currently serves as manager of industrial design for the Automotive Systems Division of the Bose Corporation. His role involves managing a talented team of designers and traveling the world to collaborate with car companies to help package Bose premium audio systems in their vehicles. Prior to assuming this role, Price served as the manager of ID for all of Bose in the support Home Entertainment, Noise Reduction Technology, Professional Products, Automotive and Research. In 2005, the Bose Design Center was broken into five studios. Before coming to Bose Corporation, Price spent 10 years with Texas Instruments, where he provided support to each of their divisions (Consumer, Defense, Laptop and Printers, Semiconductor, Industrial Automation, Central Research.) He eventually ended up as manager of ID for the fledgling DLPgroup. After a massive sell-off of TI's divisions to focus on their core Semiconductor competency, he left for Bose Corporation in 1997. Price's IDSA resume includes stints serving as the chair of both the Texas and Boston chapters and terms as the District VP for the South and Northeast. He was a founding member of the International and Zymurgy Sections. As the Southern District VP, he initiated the first Corporate Design Initiative. Price has chaired numerous committees and has served on the IDEA jury twice. In 1998 he was awarded the Boston Chapter Bronze Bean, and in 2004 IDSA bestowed a Society Fellowship upon him. Carl graduated the Ohio State University with a BSID in 1985 and returned as a visiting instructor in 1993.